Virginia’s parole board has, again, refused to release a German man who’s been locked up in state prisons for nearly 30 years. 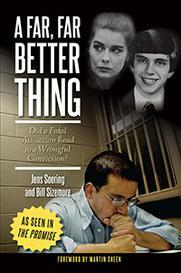 Jens Soering was convicted of killing his girlfriend’s parents while he and Elizabeth Haysom were students at the University of Virginia. He maintains he is innocent, and supporters are asking Governor Terry McAuliffe to send Soering back to Germany. Sandy Hausman has details. On March 30, 1985, police found the bodies of Derek Haysom, a retired Canadian steel executive, and his wife, Nancy Astor Haysom, in their home near Lynchburg – the place they called Loose Chippings. They had been brutally murdered. “This is the way we found Mr. Haysom, just inside the front door, and you can see all the blood on the slate floor,” said Ricky Gardner, a newly minted detective with the Bedford County Sheriff’s office. Two years ago, he showed me photos from the crime scene. The couple’s 20-year-old daughter, Elizabeth, was a student at the University of Virginia. On the weekend when her parents were killed, she said she was in Washington. She claimed to have rented a car and traveled to DC with her 18-year-old boyfriend Jens Soering. Gardner checked on that rental car and was intrigued. It had gone 669 miles. “Charlottesville to Washington, DC to Loose Chippings, back to Washington, DC and back to Charlottesville – that’s right about 669 miles,” Gardner says. In early October, Gardner met with Soering, who denied any part in the murders. A few days later, he and Elizabeth left the country. “An innocent person don’t run, so there’s another piece of the puzzle,” he concludes. For more than a year, they traveled in Asia and Europe before being arrested for check fraud in England. When questioned about the murders, Jens – the son of a low-level German diplomat -- said he committed the crime, because the Haysoms disapproved of his relationship with Elizabeth. But another story would emerge before his trial began. “He thought that he had diplomatic immunity, that he would not be tried in the United States – that he would be sent to Germany,” says Gail Starling Marshall, a deputy attorney general in Virginia from 1986 to 1994. There he expected a relatively light sentence. Soering gave a somewhat inaccurate confession, she says, to try and save Elizabeth from being executed. 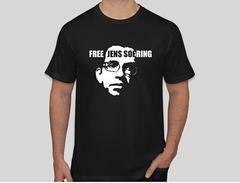 In fact, Soering was not entitled to diplomatic immunity and received two life sentences. There was no physical proof against him– even after recent DNA testing of 42 pieces of evidence, and inspection of the car Jens allegedly drove after a very bloody crime. Again, Detective Ricky Gardner. Since Soering’s conviction, some have argued the crime was committed by Haysom, a victim of child abuse, with the help of another man and another car. Whatever the case, Soering has been a model prisoner, and has written nine books on theology and prison reform, so Marshall thinks Virginia should honor a treaty with Germany and send him back. She notes Soering was 19 at the time of the crime, has spent nearly 30 years behind bars, has been eligible for parole since 2003 and is now 49 years old. Former Governor Tim Kaine had approved Soering’s transfer to a German prison, but before that could happen, Bob McDonnell took office and blocked the deal. Ironically, McDonnell is now preparing to enter prison, and if Governor McAuliffe approves, Jens Soering could finally be leaving.